We made our way into the dimly lit venue. Tables extended in juxtaposition to the stage. A palpable energy filled the air in anticipation of the premiere performance for the brand-new release from The Neal Morse Band. We were led to our seats by a hostess and quickly settled in. As we waited for the “curtain to fall,” we began chatting with those seated at our table. 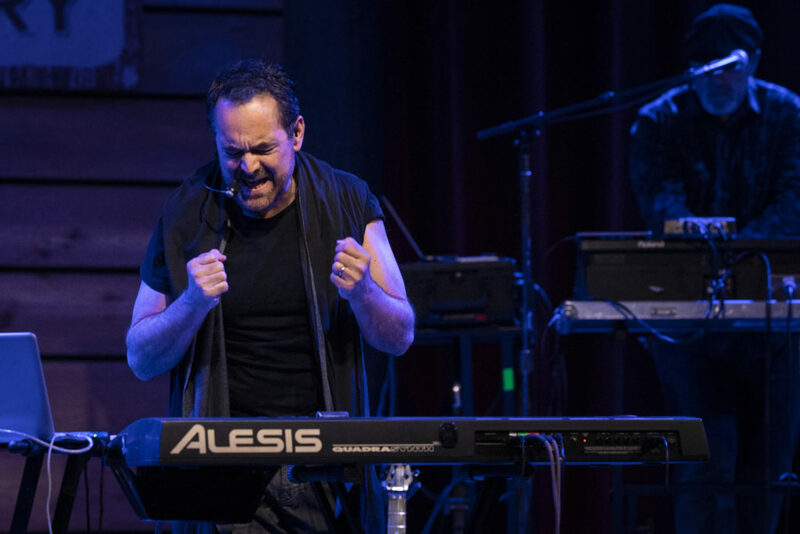 I learned very quickly that a Neal Morse concert was akin to a family reunion where everyone shared a deep, common bond. As it drew closer to show time an announcer from Roots Radio (WMOT-FM) addressed the crowd and laid down the house rules. The lights darkened; seemingly eternal seconds ticked by as, finally, a low rumble began to shake our seats. Cracks of light poked through the darkness like stars in the desert sky as, one by one, the band members made their way to the stage. Prophetic keyboards began to surround us as if we were about to witness the arrival of alien life. The ebb and flow of whirling winds encircled us as ethereal wind chimes joined nature’s chorus. A droning rhythm began to tap out a steady cadence. Organs joined the swirling symphony as the tension continued to build. Lights broke through the darkness like furious flashes of lightning as drums and keyboards administered the complementary rolling thunder. Within seconds the entire band joins in with frenzied proficiency. And, thus, The Great Adventure begins with all the fury of an Olympic track meet. I was sitting three chairs from the stage directly in front of Eric Gillette. 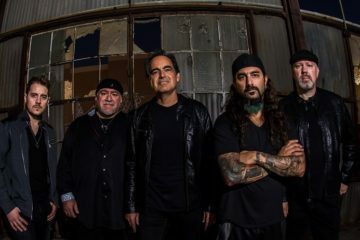 The band member placement from left to right was Randy George, Mike Portnoy, Neal Morse, Bill Hubauer and Eric Gillette. 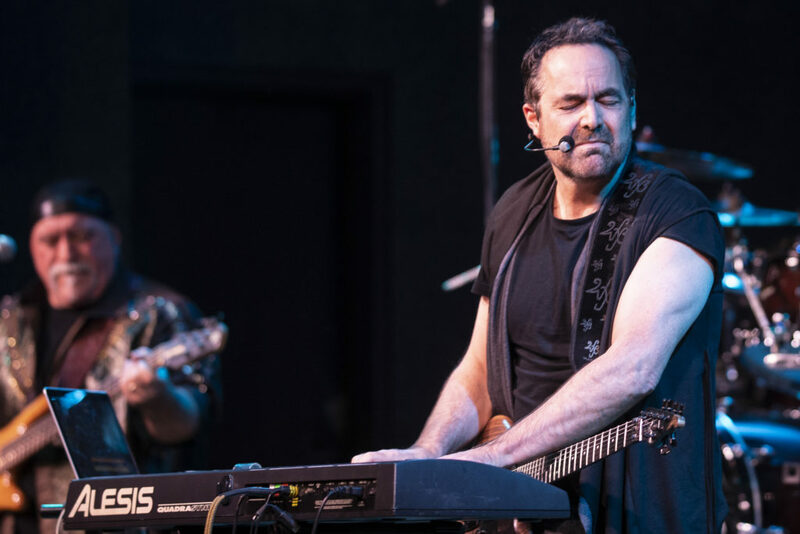 The show was highly enjoyable and, similarly to the TSOAD (The Similitude of a Dream) tour, Neal brought theatrical elements to the show by donning costumes while playing various characters from John Bunyan’s epic tale of The Pilgrim’s Progress. 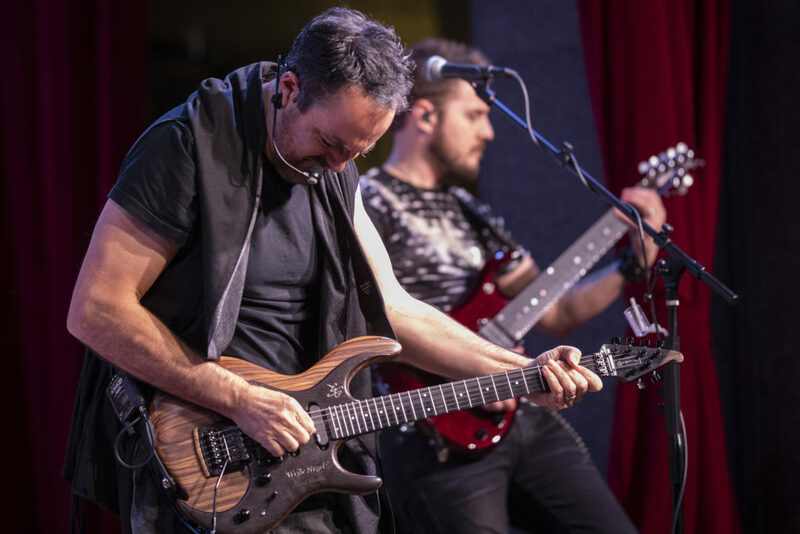 While the technical proficiency of the band was immediately evident, there were a few blemishes along the way which I’m certain have already been ironed out before this review posts. At times, it seemed like various members were having difficulties locating their vocal harmonies. Of course, this was the first night of the tour so a good measure of grace was in order. 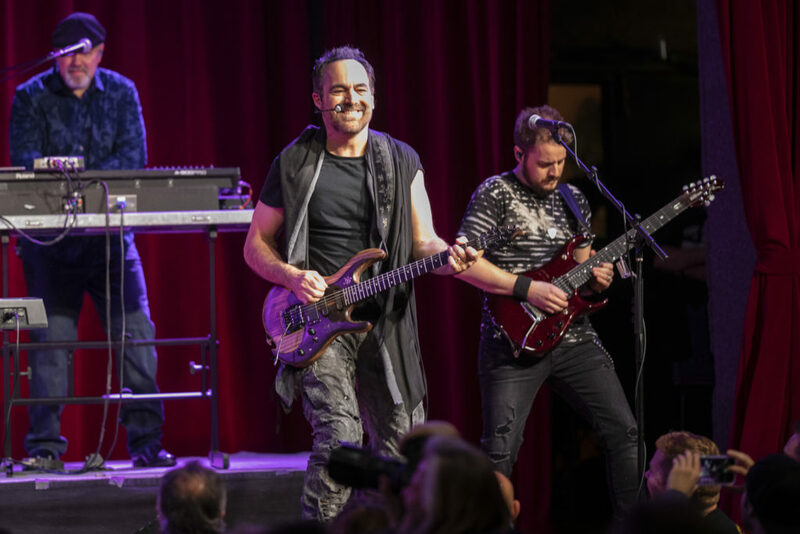 Mike Portnoy called the show their “dressed rehearsal” and stated they’d have it “dialed in” as the tour progressed. The minor errors did not detract from the overall experience. The aesthetics inherent to the venue in terms of an optimal concert venue are meager. It’s more of a dining hall than a concert venue, although they host shows with regularity. It’s simply not an ideal venue by any stretch of the imagination. Videos played on monitors at both sides of the stage but weren’t easily viewable from directly in front of the stage where I was seated. I found the seating arrangements to be awkward and somewhat uncomfortable. The light show was severely lacking and didn’t add much to the experience. To be honest, my church has a more impressive light design. The sound was exceptional except for the clunky sound of the drum set’s natural acoustics poking through the house mix. I guess that’s one of the downsides to being twenty feet in front of the drum set. One of the most memorable moments of the show occurred at the break in the song “The Great Adventure” when Neal blows the whistle. At that point, Neal blew the whistle but virtually nothing came out. The band stopped. He tried again. Still nothing. At this point the band was laughing, Neal was laughing. The entire audience was laughing. 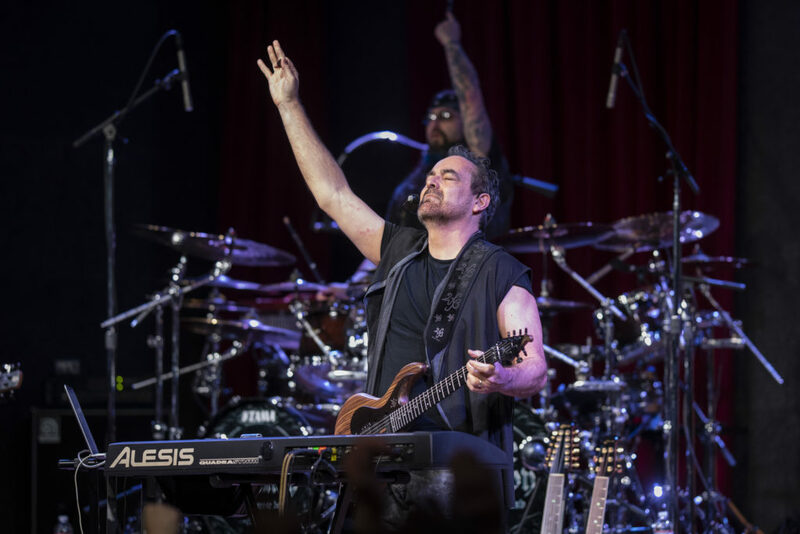 Neal comically quipped “…and you were there.” After the band’s final bows at the end of the show, Mike Portnoy tried to blow the whistle and the same thing occurred. I would assume they stopped by a sporting goods store the next day to purchase a functional whistle. If you’re familiar with The Similitude Of A Dream: Live In Tilburg you’ll have insight into what to expect from The Great Adventour. I’ll add the playlist at the end of the review below the tour schedule for those who want to avoid spoilers. For those who want to know, it’s there for you. 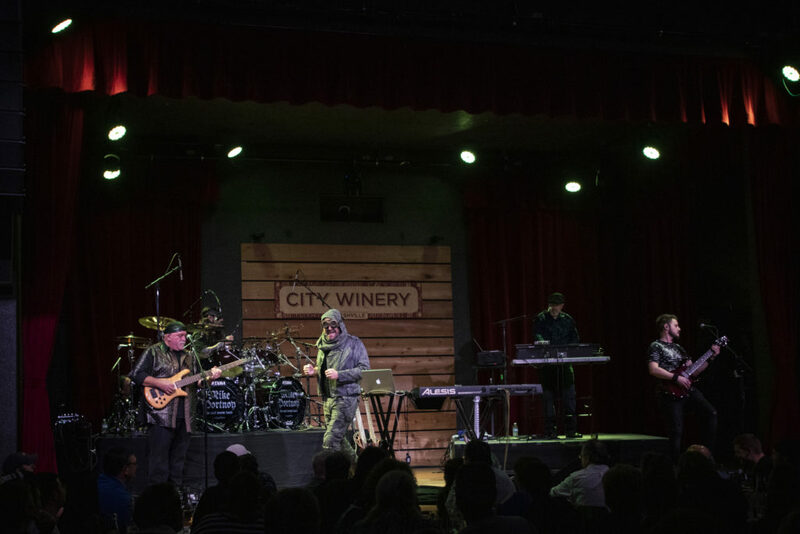 Part 2 of 5 from the Nashville Show on 2/2/19 – catch the rest on our YouTube channel. 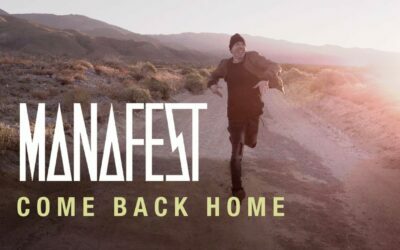 Check out our interview with Neal! 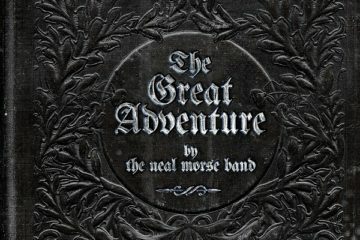 Check out our album review of The Great Adventure! David C. Coleman is the President of JesusWired.com and a contributor to the site as well as Examiner.com. 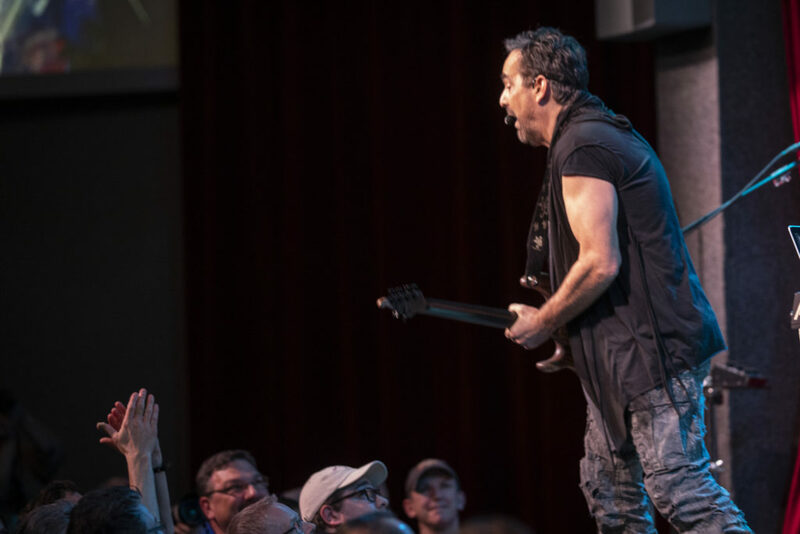 He has been in the music business since 1991 in many different roles - drummer; independent recording artist; Senior Buyer for the largest independent music distributor in the country; publicist; current owner of his own Christian music distribution and record label company. He has an (un)healthy passion for South Florida pro sports teams including the Miami Dolphins, Miami Heat, Miami Marlins and the Florida Panthers.